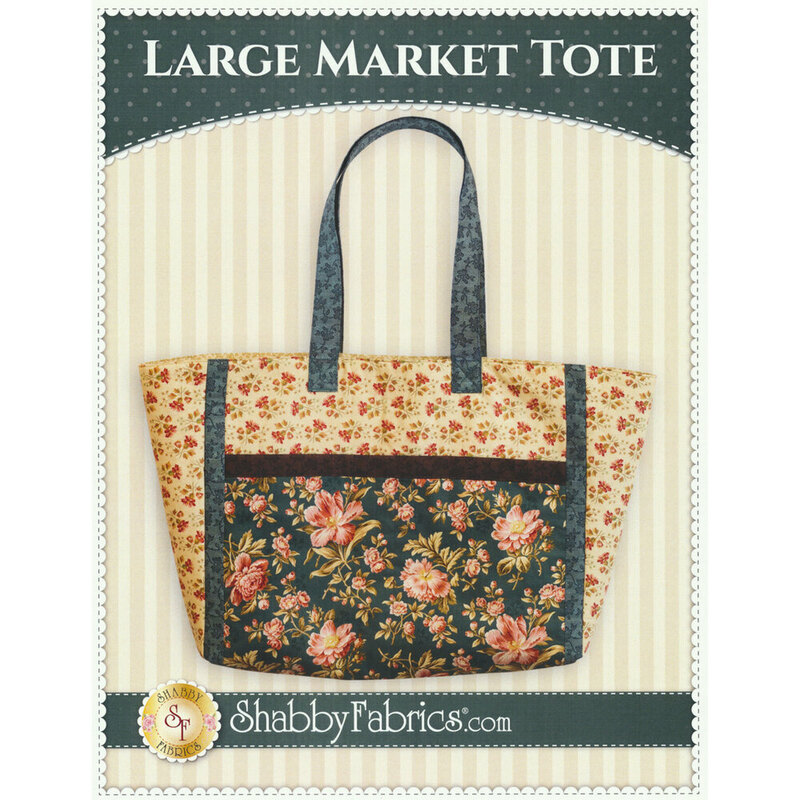 Enjoy a trip to the local market with your Large Market Tote! 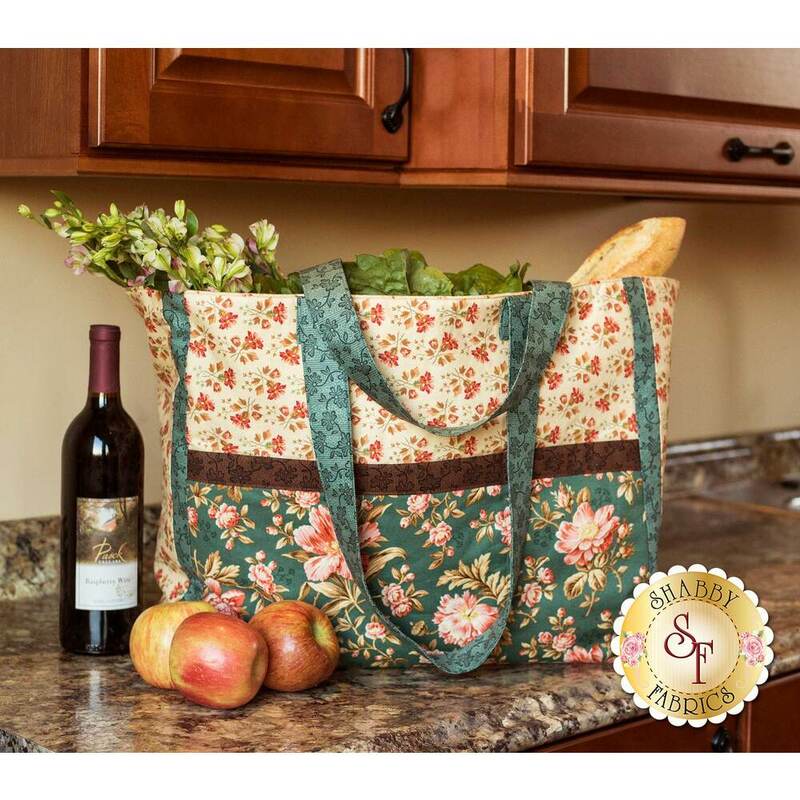 Five pockets in two different sizes adorn the outside of the tote, perfect for organizing and carrying groceries, quilting notions, and more! Long straps make this bag easy and comfortable to carry. 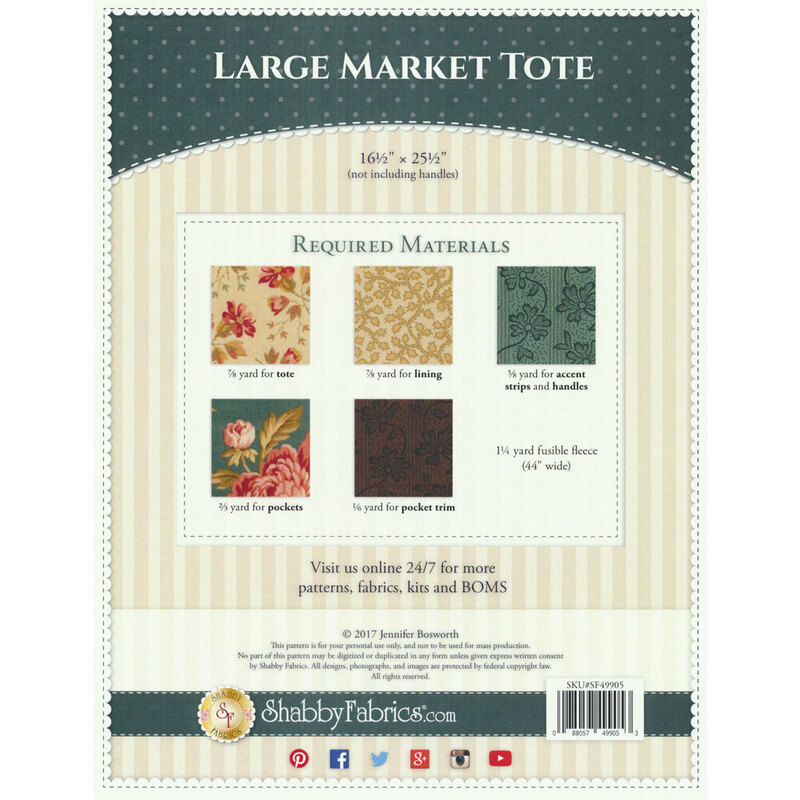 Finished tote measures approximately 16½" x 25½" (not including straps). This pattern includes beautiful, full-color photography! Add the 2½" x 6½" Shabby Ruler below!